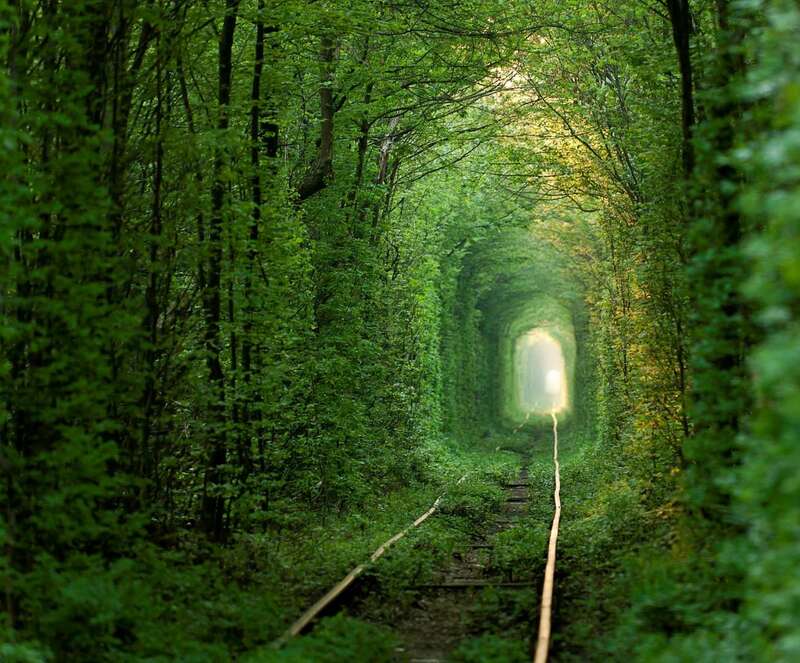 This beautiful tunnel looks like something out of a fairy tale. It’s actually still used today – trains chug through it three times a day to deliver wood to a factory. It’s believed that if couples who are truly in love hold hands and cross the tunnel, their wishes will come true. 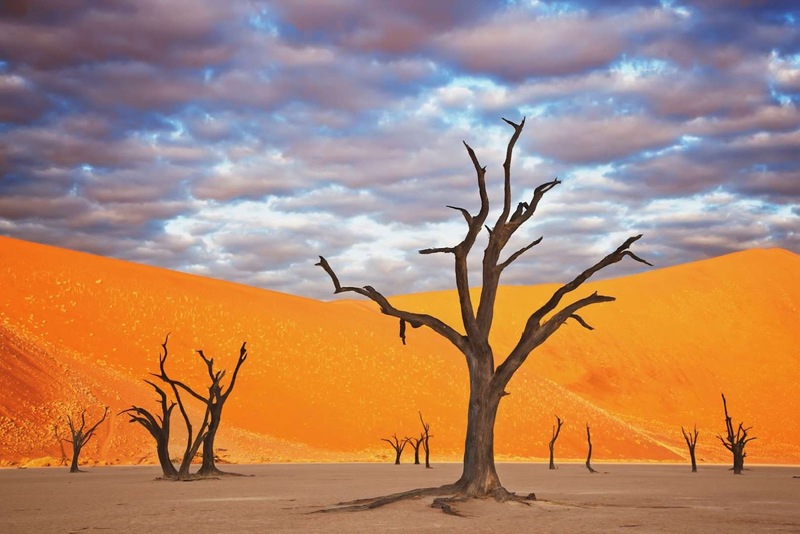 The black, dead trees against the orange sand dunes in the Namib-Naukluft National Park make the Deadvlei landscape look like a scene out of a painting. 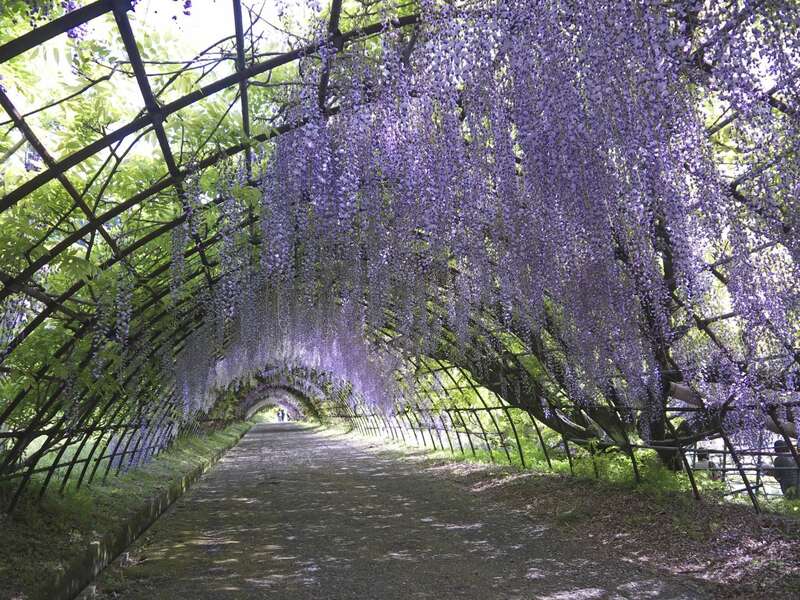 The wisteria flower tunnels in Kawachi Fuji Gardens look like something from out of a fairy tale. 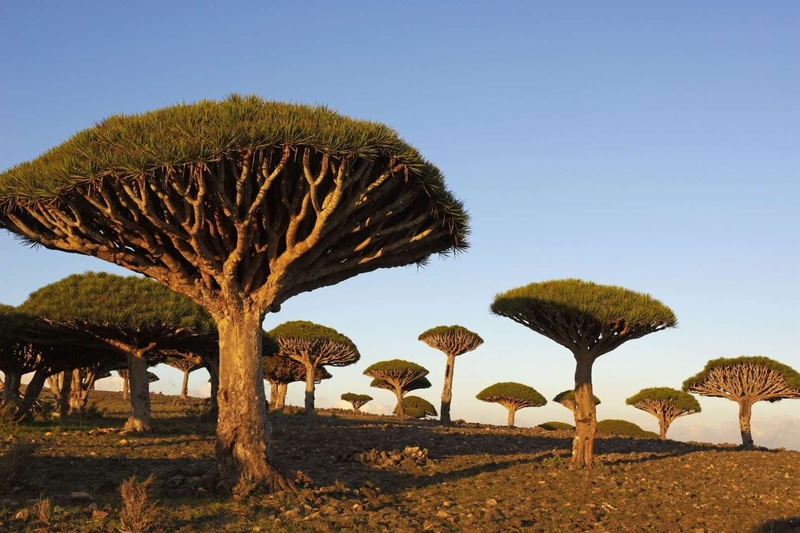 On the Socotra island of Yemen, you’ll find some odd and unreal-looking dragon blood trees. The name of the tree hails from its alarmingly red sap. 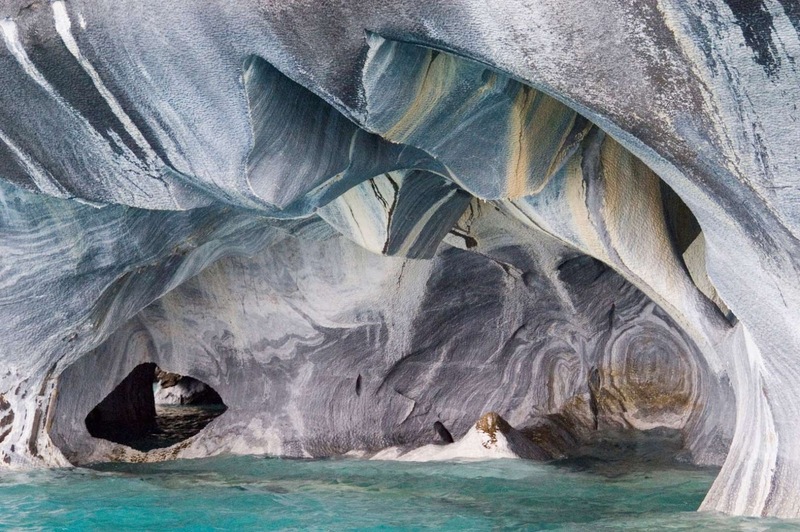 Accessible only by boat, the Marble Caves or Cuevas de Mármol are situated on a solid marble peninsula and change colors depending on the time of year and water levels. 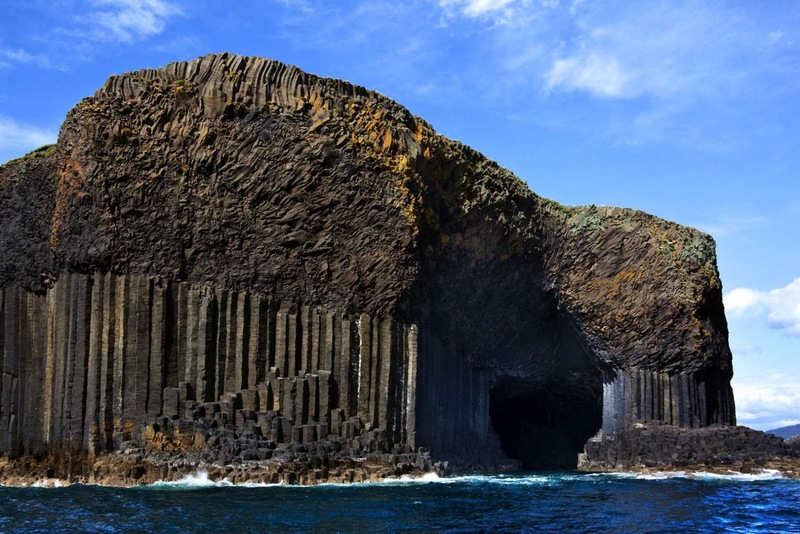 This Scottish sea cave is made up of hexagonally jointed basalt columns created by intense volcanic activity. 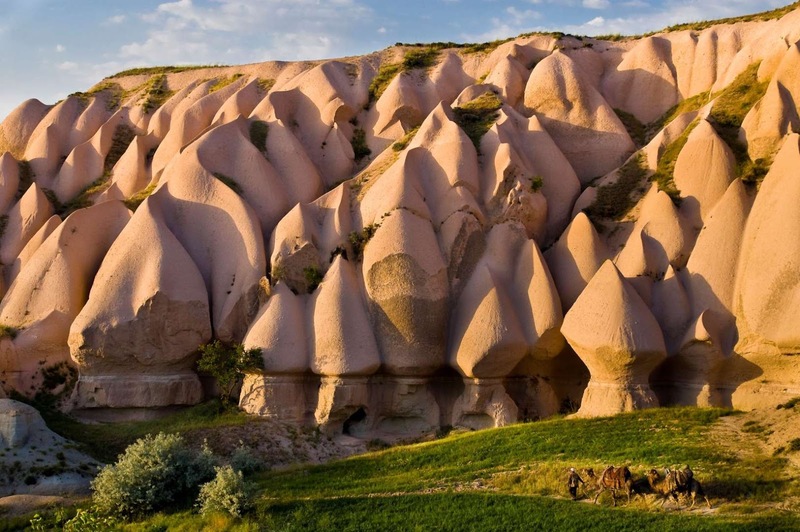 It’s Gaelic name means “the melodious cave” due to its haunting cathedral-like atmosphere. Creepy. 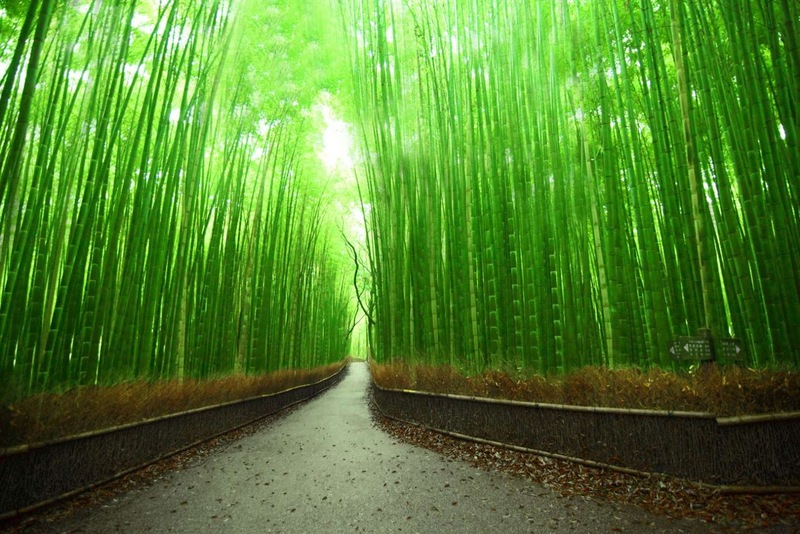 This bright green bamboo grove will transport you to a magical world. 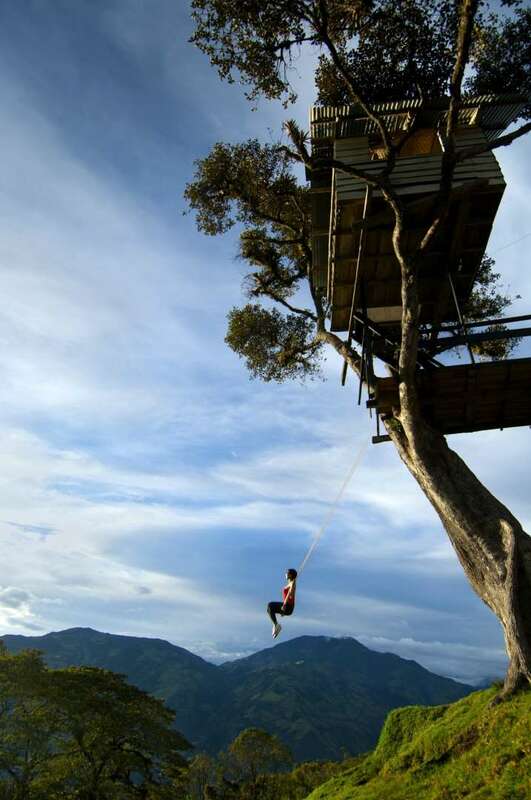 It’s located in Kyoto, Japan. 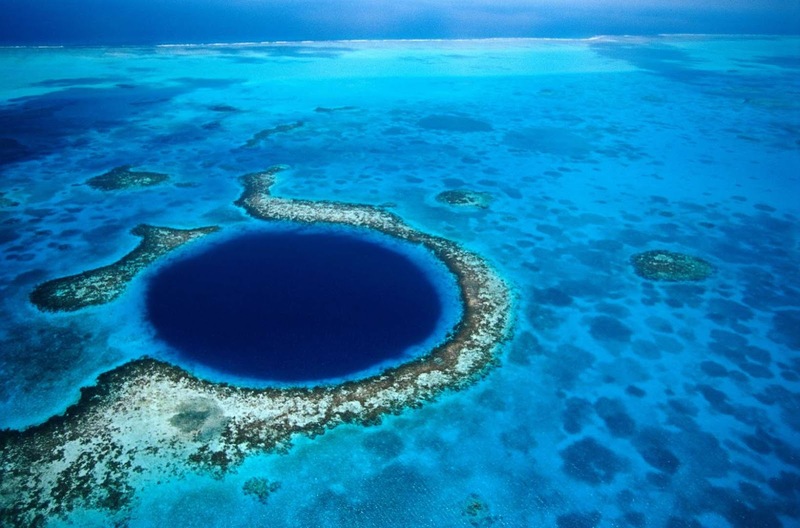 The Great Blue Hole is a huge submarine sinkhole off the coast of Belize that Jacques Cousteau named one of the top scuba diving sites in the world. 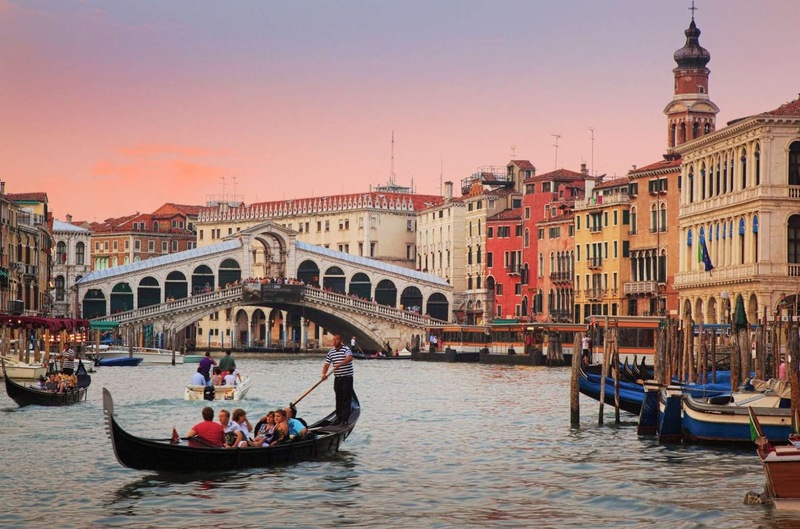 Venice is truly a one-of-a-kind city. 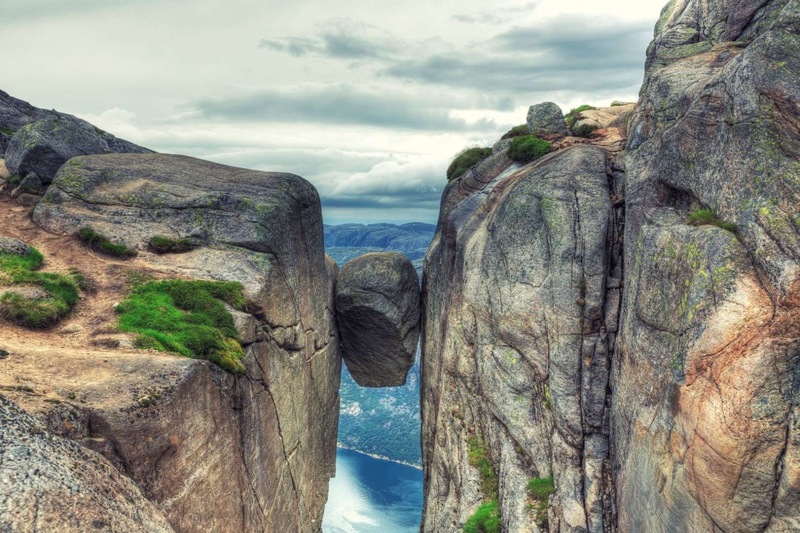 Kjeragbolten, a boulder in the Kjerag mountain located in Norway, is wide enough for you to stand on. 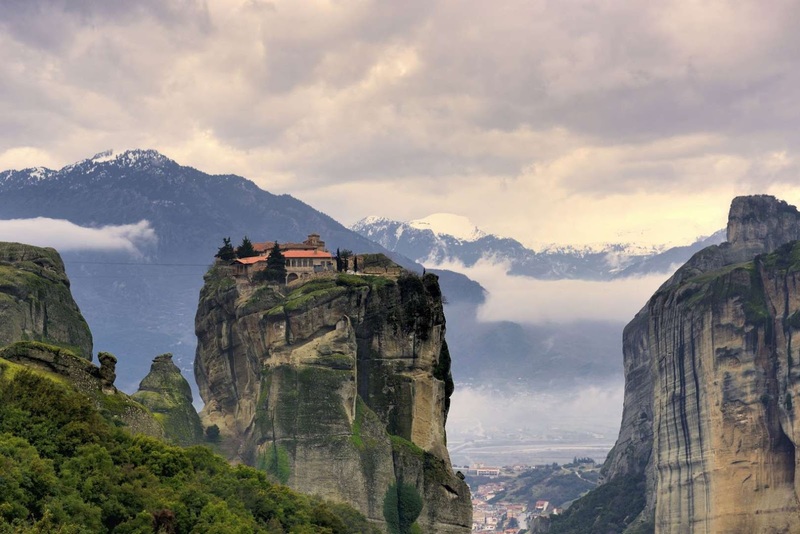 The rock measures five cubic meters, and the drop to the bottom is 3,228 feet. 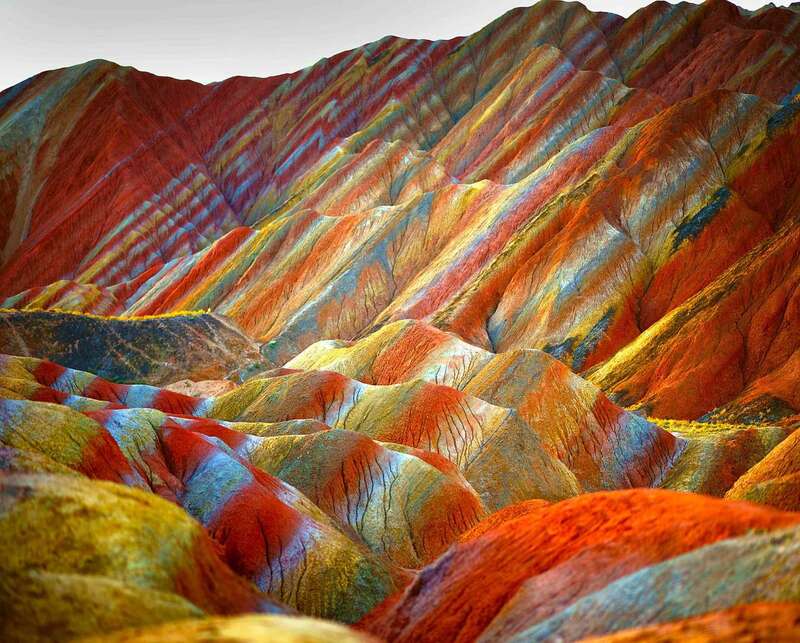 The Danxia landform in Zhangye, China, gets its color from red sandstone and mineral deposits. 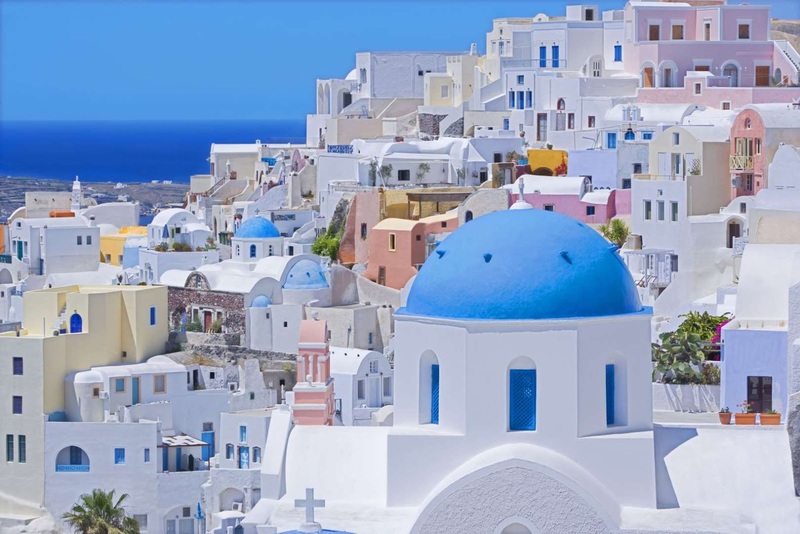 Santorini, a volcanic island, has a unique landscape of steep cliffs surrounding the beautiful blue waters of a lagoon that connects to the sea. 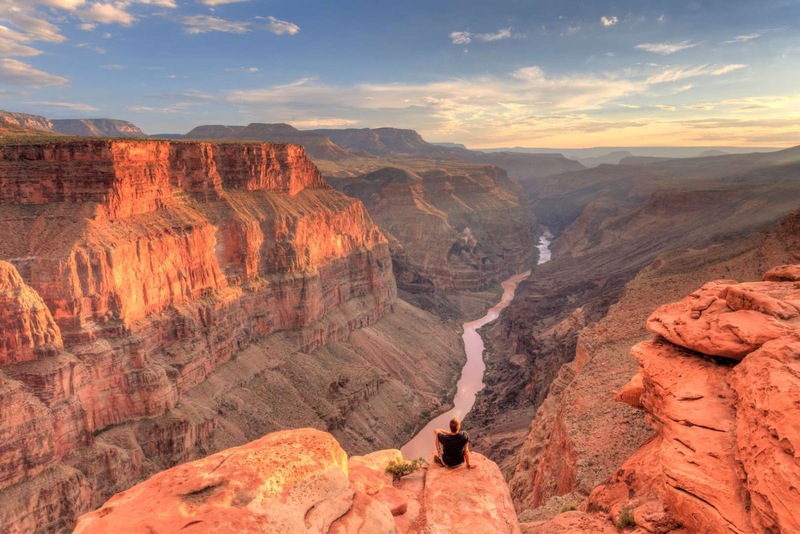 This American landmark is well-known but has plenty of quiet spots that travelers can escape to and spend time with one of nature’s most incredible wonders. 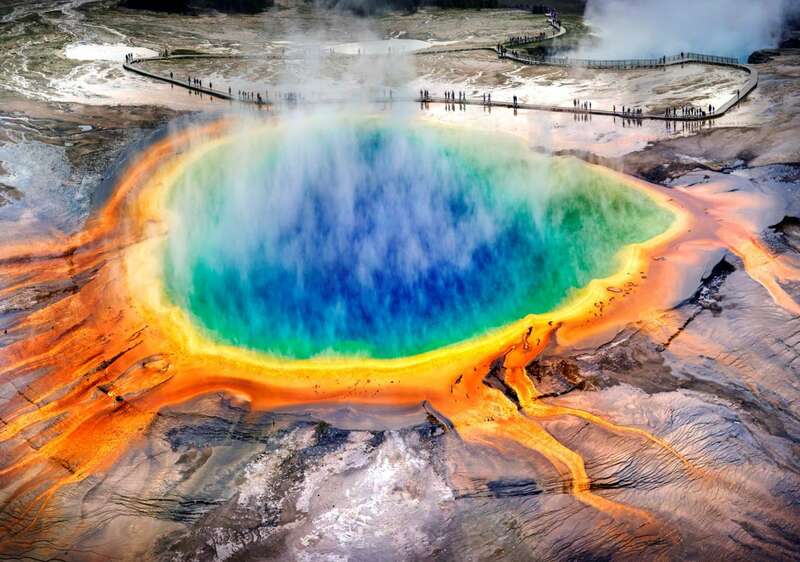 Located in Yellowstone National Park, Grand Prismatic Spring is the largest hot spring in the United States and is known for its vivid gradient of colors. Norwegians do love their trolls. 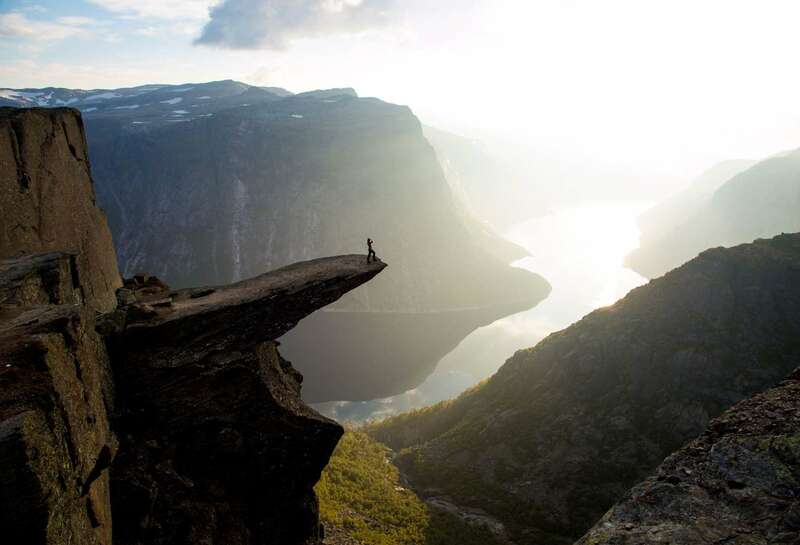 Trolltunga translates as Troll’s tongue and perfectly describes the piece of jutting rock. 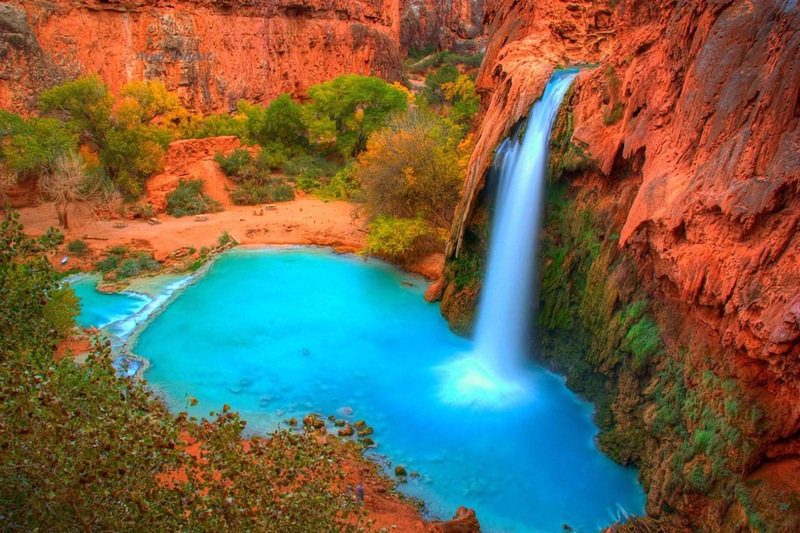 We’re aware of the Grand Canyon in Arizona, but there’s another lesser-known sight – the Havasu Falls – that you shouldn’t miss out on. The red rocks and vibrant blue waters make a really stunning contrast. 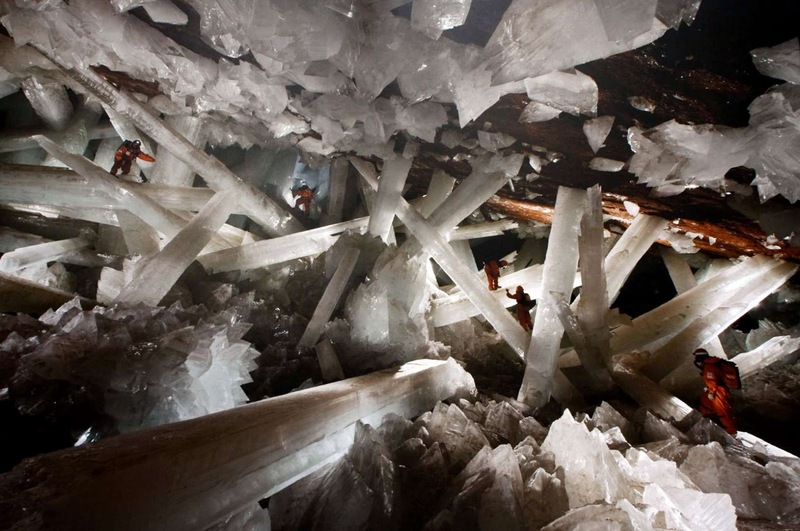 Some of the world’s largest natural crystals can be found in this cave. 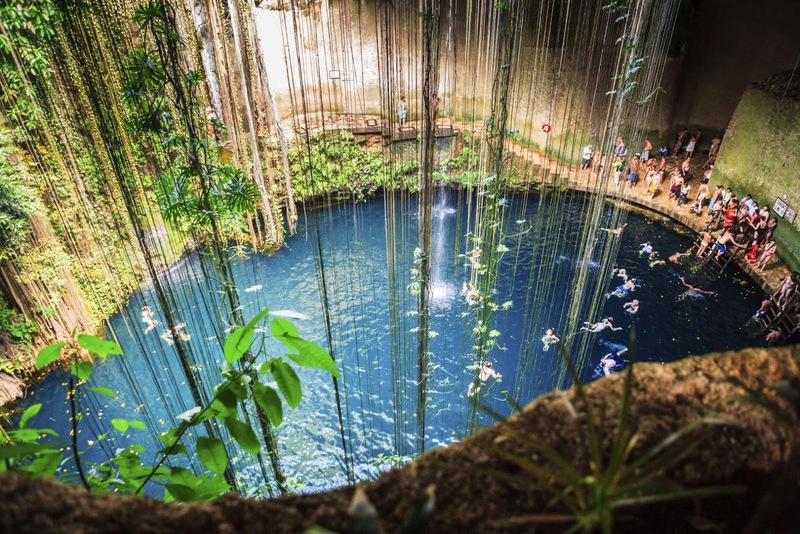 A cenote is a natural sinkhole that fills up with water – many people in past civilizations would use it as a natural well for water. Ik-Kil is one of the more famous cenotes in Mexico and is well worth a visit. 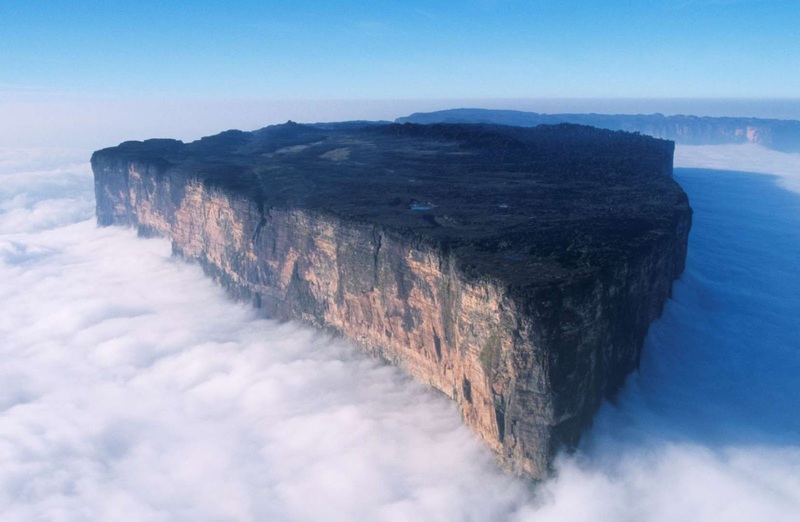 Mount Roraima is a mountain range that borders Venezuela, Brazil, and Guyana. What’s unique about this mountain is its flat, tabletop surface, which in the midst of clouds looks like something really magical. 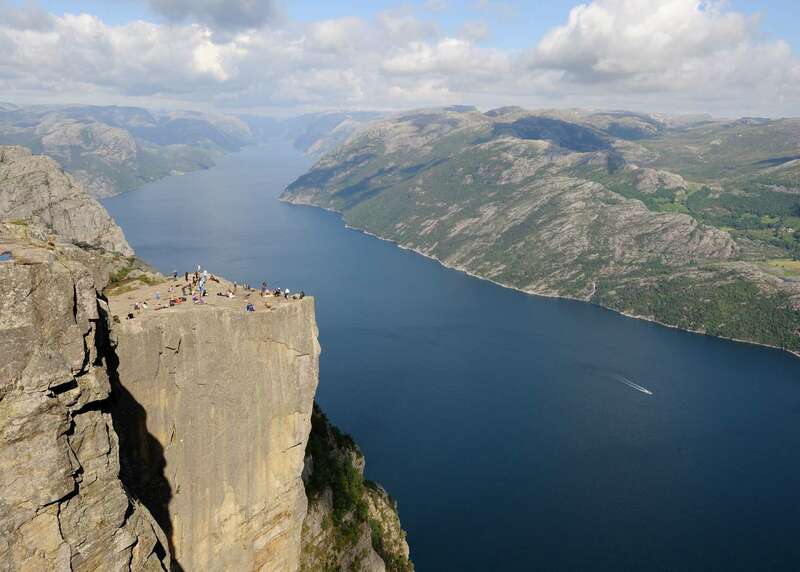 Preikestolen, or the Pulpit Rock, is a huge destination point for hikers, adventurous travelers, and anyone else willing to brave the heights for some amazing views.